I'VE BEEN SHORTLISTED FOR A BLOGOSPHERE BLOG AWARD! I'm on the shortlist for the #BlogosphereBlogAwards 2017! Yes, that's right, Lil' Black Boots has been shortlisted for the Blogosphere Community Award! If you've been a reader for a while, you will know that it was Blogosphere Magazine that really made me decide to take the plunge and start up Lil' Black Boots. I have every print, they're full of amazing interviews, information and stories that you don't find anywhere else and I've even been to one of their cover reveals!. I've reviewed the magazine here before too. This is Blogosphere Magazine's first ever Blogosphere awards, and the nominations have come from you! There are 10 categories including fashion, beauty, food, fitness plus the Blogosphere Blogger of the year! The shortlist is full of some seriously inspiring bloggers so head over and click their links, its an easy way to discover some new reads. 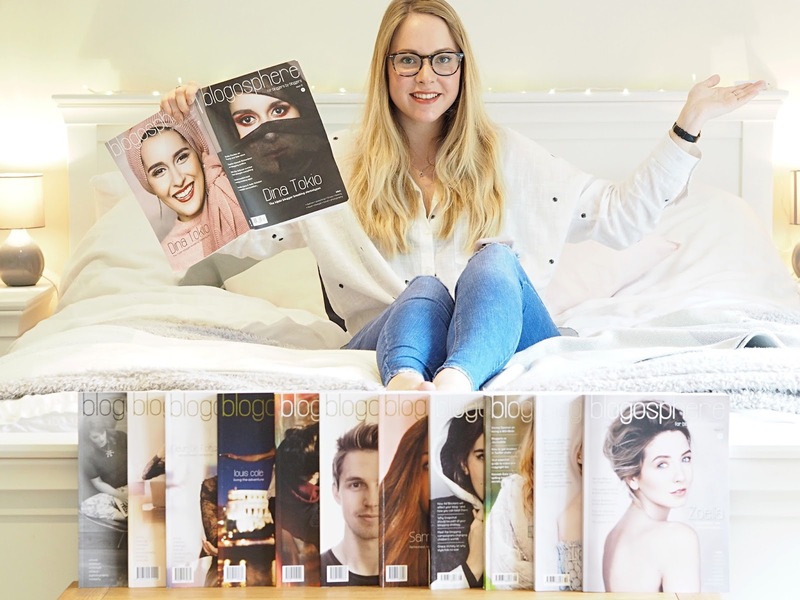 Also, whichever fabulous lady wins the Blogger of the year will get to star on the cover of the magazine in the September issue- amazing! The Community Award which is what i'm shortlisted for, was chosen by the Editorial team and features those of us who either interact on social media, contribute to the magazine, or join in with Twitter chats. It's an honour to have been noticed! Voting closes on 22nd May so you have 10 days left, Go Go Go! The awards ceremony will be on June 22nd and winners will be invited to an interview and photoshoot with the Blogosphere Editorial team. Good luck to everyone! I'll have another beauty post up on Monday, so until then, have a browse of the *hopefully* new and improved blog, and remember to let me know if you have voted!